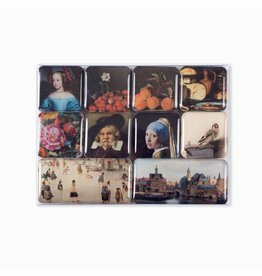 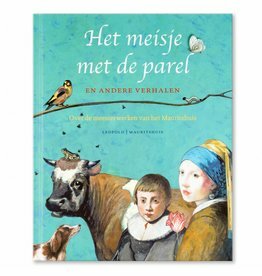 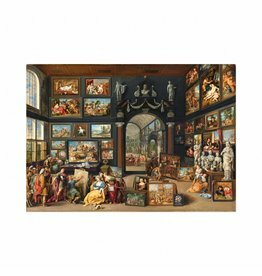 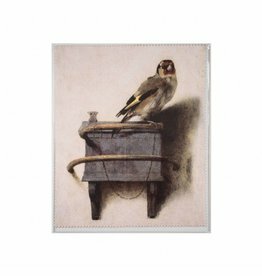 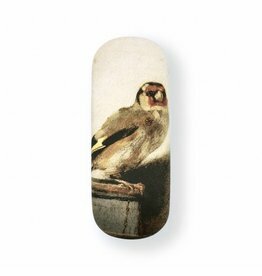 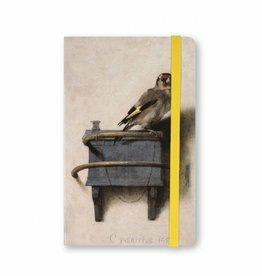 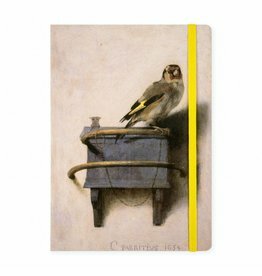 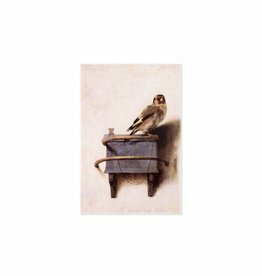 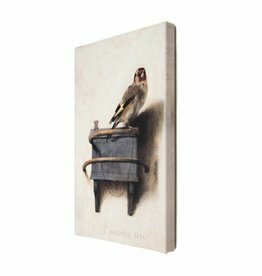 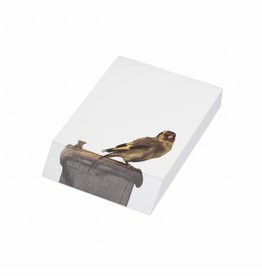 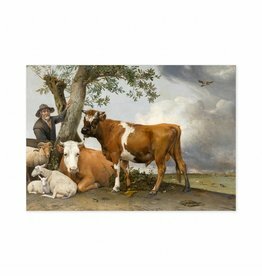 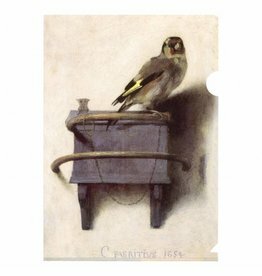 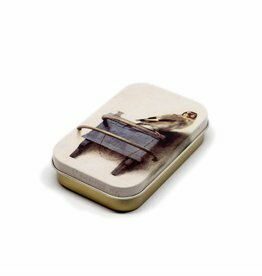 Souvenirs of The Goldfinch by Carel Fabritius. 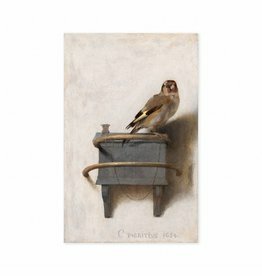 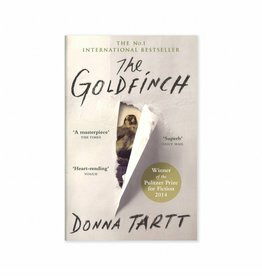 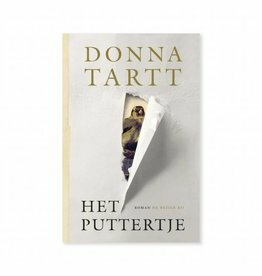 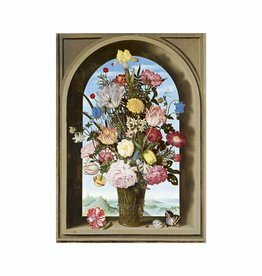 Perhaps the most famous little bird from the 17th century that became even better known a few years ago through the bestseller of Donna Tartt The Goldfinch. 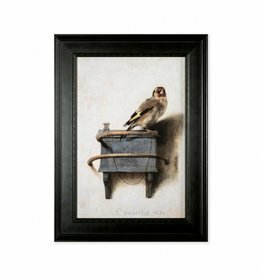 A goldfinch, with a chain on its paw, sits on its feeding bowl. 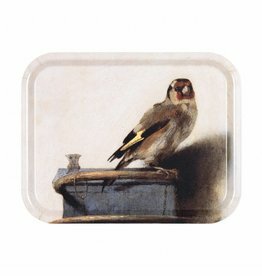 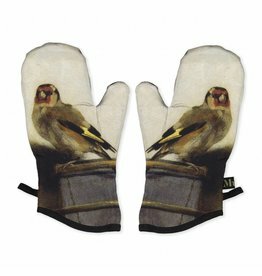 Goldfinches were popular as pets, because you could teach them to draw water from a container with a miniature bucket.